New Directions is a high quality award winning training provider, delivering courses to individuals and businesses throughout the UK. The team offers a portfolio of certificated and non-certificated courses to aid individuals and businesses with their continuous professional development. New Directions operates on a consultative basis. We are happy to meet with you and / or your teams and offer a bespoke Training Needs Analysis (TNA). We can work with you to identify needs and help to fill skills gaps. 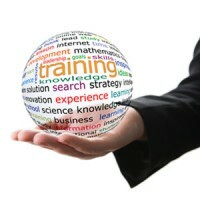 We take our lead from the people we work with, and deliver training with your objectives in mind. We never compromise on quality and we aim to be competitive with our pricing policy. Our ethos is to reflect and respond to our client’s needs. We aim to be flexible and our approach is consultative. Whether it is one-to-one or group based training, we can accommodate your individual need.